When you don’t want to worry about sugar crystals forming on the sides of a saucepan or having to use a candy thermometer, use your microwave! Whether you make this microwave caramel recipe corn-free or not, it is absolutely delicious! It’s so good, that one tin never made it to my neighbor’s house! (head down in embarrassment) Oh well! It’s a good excuse to make another batch! When you don't want to worry about sugar crystals forming on the sides of a saucepan or having to use a candy thermometer, use your microwave! Line a 9 x 13-inch baking dish with parchment paper; set aside. In a large bowl, add the butter pieces, dark brown sugar, light brown sugar, condensed milk, and salt. Microwave for 1 minute on high and stir. Microwave another 2 minutes on high and stir. Microwave 4 minutes and stir. Microwave another 4 minutes and stir. Microwave yet another 4 minutes and stir. Fill a glass half full of ice. Add water and set aside. Test the caramel again, continue microwaving it short intervals until it reaches your desired consistency. Once it is perfect for you, stir in the baking soda and vanilla. 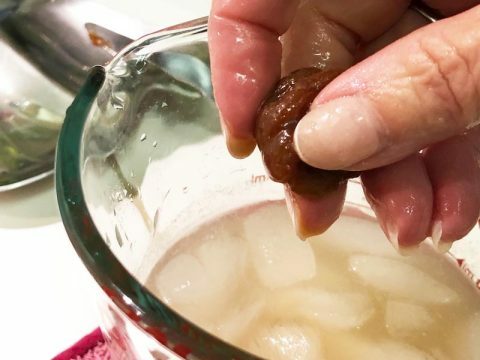 The baking soda will cause the caramel to bubble, but it will settle down some as you stir. Those bubbles will create a little softer caramel. 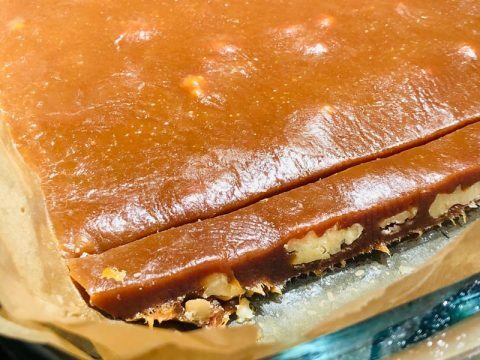 If you prefer stiffer caramel, omit the baking soda. Pour the caramel into the prepared pan; press in the walnut halves, if using. Refrigerate until firm and set. Slice into squares or as desired. 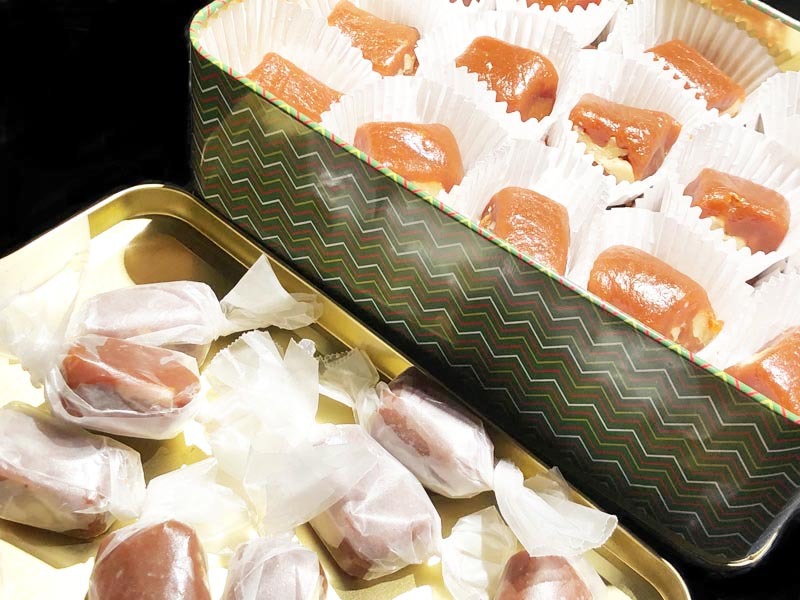 Wrap individual pieces in wax paper or place in small, individual baking papers. *If you using corn syrup, the caramel will most like take a shorter time to cook.